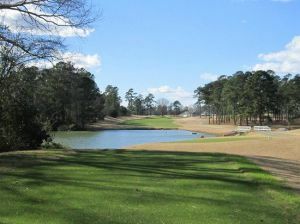 We offer a choice of over 45 golfcourses spread out thru South Carolina. Book green fees and tee times in REAL TIME and get your confirmations immediately. 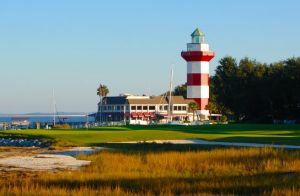 Home of the prestigious PGA TOUR event, The Verizon Heritage each April, Harbour Town Golf Links is perennially ranked among the top golf courses in the world. 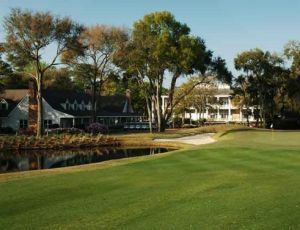 Harbour Town’s set of par-3s rank among the finest in the world, and its par-4 18th hole is one of the most feared in all of golf, particularly when the wind is blowing off Calibogue Sound. Designed by legendary golf course architect Pete Dye, Heron Point by Pete Dye is nothing short of a modern masterpiece. Fairways are shaped into dramatic angles and shifting elevations, while surfaces are a mixture of sand, mulch, limestone, and different grasses that offer a collage of appealing color changes. 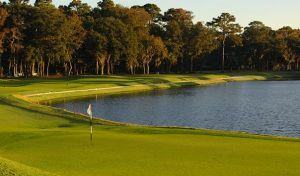 Rolling hills and mossy oaks mix lowcountry charm with highland terrain Santee National Golf Club is rated 4 stars by Golf Digest’s Places to Play. Enjoy the grand tradition of golf with us at the Santee National Golf Club. 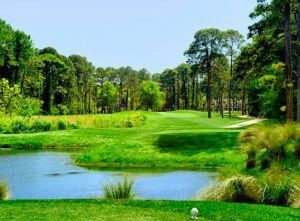 Rolling hills and mossy oaks mix low country charm with highland terrain Santee National Golf Club is rated 4 stars by Golf Digest’s Places to Play. 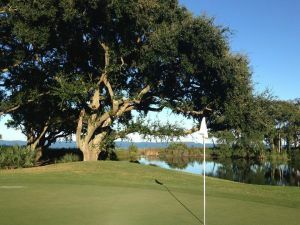 Carved out of 190 acres of breathtaking low country terrain, Oyster Reef Golf Club's spectacular 18-hole championship course is surrounded by winding lagoons, lush vegetation, and scenic views of the Island. Golf course architect Rees Jones used the natural landscape to create an inspiring course that combines challenge with a sense of fair play. 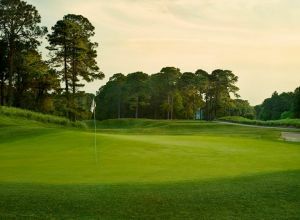 Shipyard Golf Club features 27-holes of spectacular golf nestled within Hilton Head's natural setting of majestic Carolina pine trees, flowering magnolias and moss draped oaks. 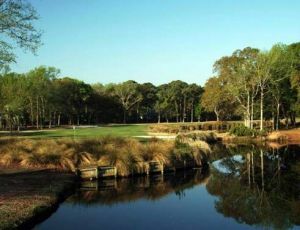 The former home of the Hilton Head Seniors International from 1982 to 1984, Shipyard Golf Club was rated as one of the finest layouts on the Champions Tour. Opened in 1991, this Arthur Hills course was instantly named a classic by Golf Digest Magazine, which rated it among America’s Top 10 New Courses. 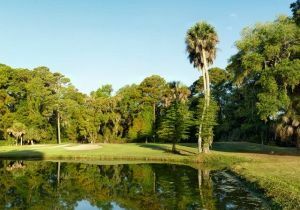 The course has since received a 4 star rating fand is listed as one of 2008-09’s “Best Places to Play.” Heavily wooded with towering pines and moss-draped oaks, the lush fairways roll past crystalline lakes. 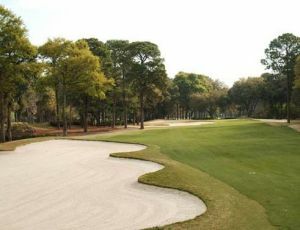 Planter’s Row was designed by Willard C. Byrd and built in 1984, becoming the Plantation’s newest course. 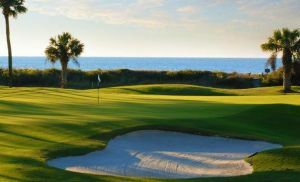 It has played host to the Hilton Head Seniors International Golf Tournament, a former senior PGA Tournament Event. This course offers a different look from its sister courses with water on 10 of the 18 holes. Robber’s Row was designed in 1967 by noted architects George W. Cobb and Willard C. Byrd and was redesigned in 1994 by world famous architect Pete Dye. 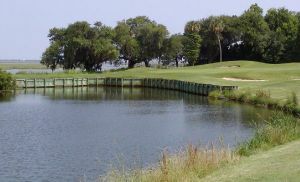 The course is located on the scenic marsh side of the Port Royal Plantation and cuts through beautiful strands of magnolia and live oaks. The Barony course was designed by George Cobb in the early 1960’s, and is one of the first courses on the Island. From the tee box, many of the holes appear to be relatively open, but as you approach the newly resurfaced Bermuda greens, the real challenge becomes clear.